Nuna believes that superior safety and chic style can always go hand-in-hand. And with car seats that all exceed American safety standards, it�s never been easier to get the highest level of protection for your most precious cargo, without compromising on beautiful design. 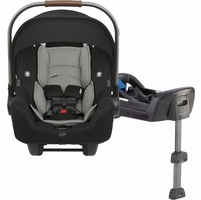 The sophisticated RAVA convertible car seat is ready from day one. 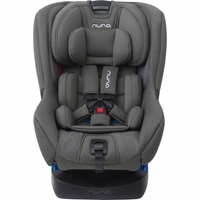 With its cushy infant insert for newborns and advanced side-impact protection, the convertible RAVA cradles your little one in comfort and safety from just 5 pounds. No-fuss installation makes set-up a breeze. Plus, because of its superior engineering and more generous leg room, the RAVA car seat can be rear-facing up to 50 pounds! 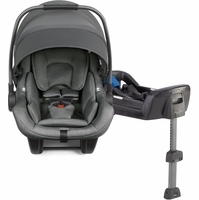 For an understated booster that grows in every direction, look no further than the super-smart AACE booster car seat. From a high-back seat to a no-back booster, this car seat has adjustable height, width, and depth�giving your growing toddler a comfy ride for years. 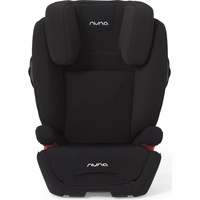 And of course there�s the ultra-convenient Nuna PIPA infant car seat, which pairs with any Nuna stroller for a complete travel system. 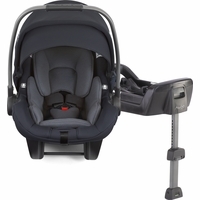 The unique base, which comes with revolutionary crumple zone protection and stability leg, absorbs impact and minimizes force to the baby in the event of an accident. The truelock� installation system makes set-up with the base fast and secure�but because it�s aircraft-certified and also created to be safely installed with a vehicle seat belt (no base required), the PIPA really can go anywhere you want to go. No matter your car seat needs, Nuna knows how to take top-of-the-line engineering and make it fashion-forward, so you can explore the world with your little one in ultimate safety and style.